Thanks to the organisers and everyone who attended the spooktacular “Trek of Terror” event over Halloween. 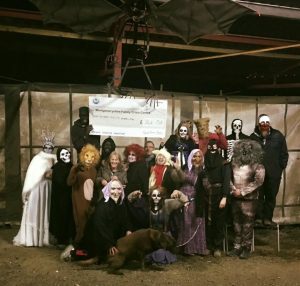 One attendee said “It was a brilliant night and I can’t wait for next year, The Trek of Terror Team made a huge effort to make sure all had a great time”. The 3 nights raised a frighteningly good £744.58 for MFCC.